This is a follow up of my blog posting of July 2 titled Detailed Description of the Accounting Process Cycle. This is a continuation of this blog posting. 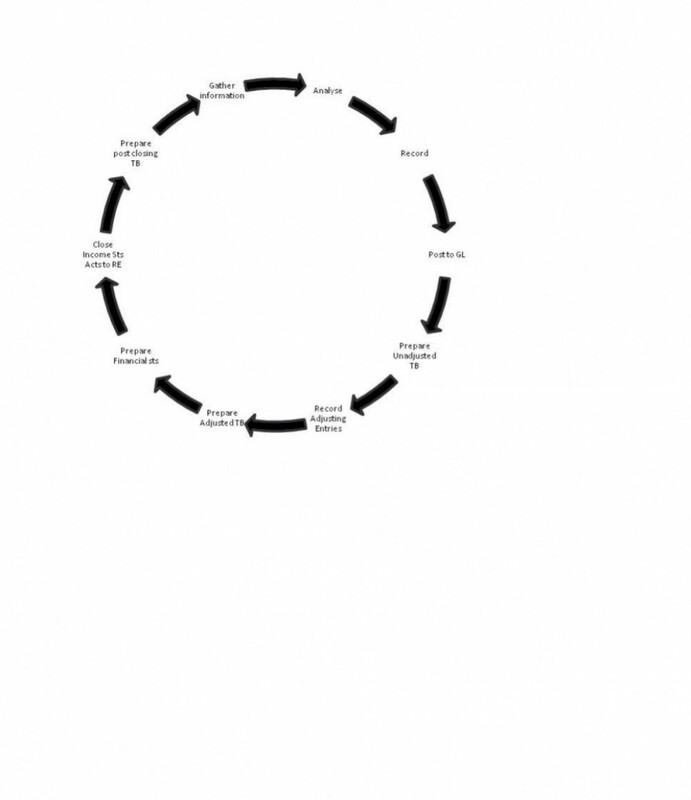 Below is the Life Cycle of the Accounting Process summarized in a flow chart. Hope this helps. This entry was posted in Accounting Simplified. Bookmark the permalink. Hi, i believe that i saw you visited my website so i got here to “return the choose”.I’m attempting to to find issues to improve my site!I assume its good enough to make use of a few of your ideas!! Great post, I conceive people should acquire a lot from this weblog its very user friendly. So much wonderful information on here :D.
Hiya very nice blog!! Guy .. Excellent .. Amazing .. I will bookmark your web site and take the feeds also…I am happy to find numerous useful information right here in the post, we need work out more strategies in this regard, thanks for sharing. I’m impressed, I must say. Very rarely do I come across a blog that’s both educative and entertaining, and let me tell you, you have hit the nail on the head. Your article is important; the matter is something that not many people are speaking intelligently about. I am very happy that I stumbled across this in my search for something relating to it. After examine a number of of the blog posts in your web site now, and I truly like your way of blogging. I bookmarked it to my bookmark website list and might be checking back soon. Pls check out my web page as well and let me know what you think. After examine a number of of the weblog posts in your web site now, and I actually like your manner of blogging. I bookmarked it to my bookmark website record and will be checking back soon. Pls check out my web site as nicely and let me know what you think. hello!,I like your writing very a lot! share we communicate more about your post on AOL? I require an expert on this space to solve my problem. May be that is you! Taking a look ahead to see you. I should say, youve got 1 with the most effective blogs Ive observed in a long time. What I wouldnt give to have the ability to build a blog thats as intriguing as this. I guess Ill just have to keep reading yours and hope that one day I can write on a topic with as a lot expertise as youve got on this 1! I do trust all the ideas you’ve introduced on your post. They are very convincing and can definitely work. Still, the posts are very short for newbies. May you please lengthen them a little from subsequent time? Thank you for the post. Thanks for your post. I am going to definitely be using these types of ideas and thinking more and more about what I am really doing right with my YouTube accounts dedicated to some of the ideas you have mentioned. My partner is also considering the way it would be if I launched a blog discussing some of the same issues you have dealt with here. Many thanks showing me that thing so obvious. I had been blinded from it. Your post has truly made an impact on the way I think about my own work and ideas also.